350green is building, in Chicago, what will be the largest electric car fast charging network in the U.S., along the Illinois Tollway, the Chicago airports, and other areas in and around Chicago. On Thursday Illinois Governor Pat Quinn announced an agreement with 350green and the Illinois Tollway to launch the largest network of electric car fast charging stations in the U.S. As of today electric car drivers, whose cars support fast charging, can recharge in 30 minutes at fast charging stations located next to 7-Eleven stores at four Tollway Oasis, a network that will soon expand to include all seven of the Tollway Oasis sites. 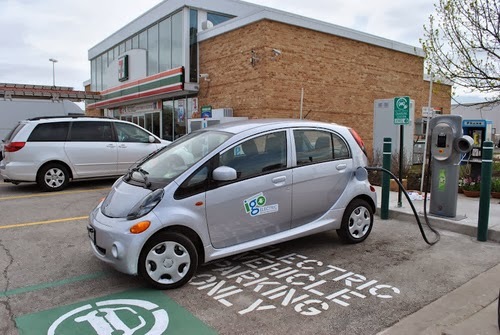 Additionally, through the Chicago-Area EV Infrastructure Project, 26 fast charging stations have already been installed and another 73 stations are planned. The City of Chicago is overseeing the Chicago-Area EV Infrastructure Project, which includes a total of 280 electric car charging stations. The project has a budget of $8.8 million, $1.9 million of which is public funding, and $6.9 million private funding. 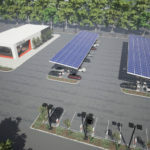 The focus is to install charging stations in areas with dense residential and worker populations, as well as heavily traveled areas. The State of Illinois has additional funding through the Illinois Jobs Now! plan for both electric vehicle manufacturing and infrastructure incentives. 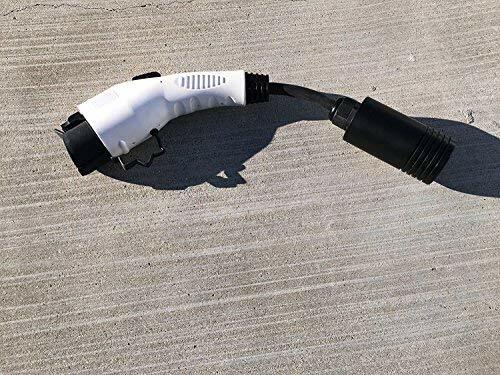 “Today, the Tollway is taking steps to ensure that electric vehicle drivers on our roadways have the same convenient access to electricity as other drivers have to fuel,” said Illinois Tollway Executive Director Kristi Lafleur. 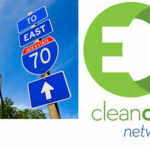 “At the same time, we are continuing our commitment to ‘clean and green’ technology and making the Tollway a leader in environmental sustainability.” The Illinois Tollway is a toll road operating in 12 Northern Illinois counties, and includes the Reagan Memorial Tollway (I-88), the Veterans Memorial Tollway (I-355), the Jane Addams Memorial Tollway (I-90) and the Tri-State Tollway (I-94/I-294/I-80). 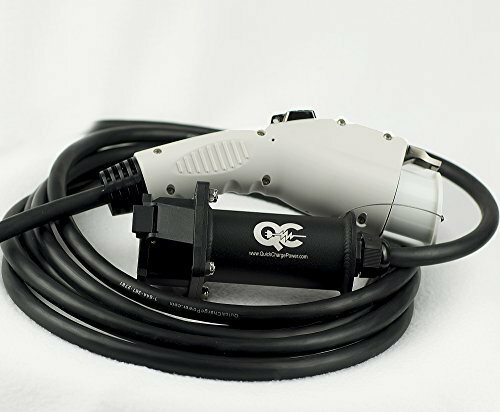 Earlier in the month Chicago Department of Aviation (CDA) introduced an ordinance to authorize installation of additional electric car charging stations at both O’Hare International and Midway International airports. These will include both level II and level III charging stations, in the short term parking lots and the cell phone waiting areas. 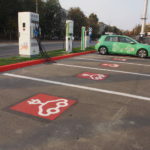 This agreement is also with 350green, and access to the charging stations will be covered by a $70 per month 350green membership agreement, or a $3.50 fee for a 90 minute level II charging session, or a $7 fee for a 15 minute level III charging session. The CDA and 350green have a revenue sharing agreement to funnel some of the revenue to cover electricity and income to the CDA. 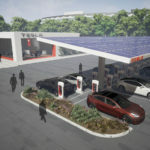 California recently announced a fast charging station network that is to include 200 fast chargers to be installed across that state over the next four years. Similarly to California’s plan, the Illinois plan is an endorsement of the CHADEMO fast charging standard. CHADEMO is the only fast charging system available now for electric vehicles, and is supported by the Nissan Leaf and Mitsubishi i-MiEV. 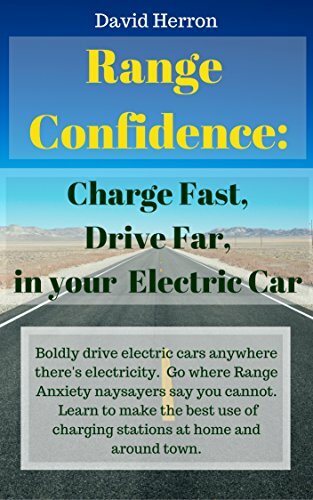 Other electric car manufacturers have chosen to wait on fast charging, and to instead work through the SAE on a different standard. 350 Green, CHAdeMO, Fast Charging. Bookmark.